As some of you may know, I'm currently in my first year at university in Cardiff studying English Literature and German. And, believe me when I say, this first year has been a bit mad. There have been times when I've just wanted to drop out and other times when I've felt really happy. Mostly though, I've felt tired. But I have learnt so much about life in this year. So, I wanted to share with you some of the things I have learnt this year and I would love to hear what everyone else's experience of university was or if anyone has experienced anything similar to me. I used to catch a bus to college every morning at 7:30am. Now 9am just doesn't exist. There is only one 9 o'clock in the day and that's the one where I am snuggled up in bed catching up on EastEnders. You wash the clothes. 2 seconds later, it's full again. I swear I spend half my life washing clothes. I am currently writing this instead of reading a Malory's Le Morte Darthur. Enough said? Since starting uni I have lost some weight. Mostly because I am too lazy to go to the shops and buy ingredients so live off snacks and because whenever I try to cook, it goes so very wrong. French bread and salsa is surprisingly tasty, I'll have you know. If you learn anything from this post, let this be it. Lidl has an amazing bakery section. And it's so cheap. A loaf of fresh, farmhouse bread? 50p. A croissant? 29p. A baguette? 40p. And, yes, I have memorised the prices - I just go there that often. Before starting uni I decided I would need a printer. Good thinking, Lauren, but you overlooked the vital fact that you cannot work technology for the life of you. It's now March and I still haven't managed to get the ruddy thing to print anything. The way it goes is one inconsiderate blighter living in a big hall - usually in a student village - gets a cold from somewhere and spreads it to everyone in the student village. They all go to lectures and pass it on to everyone else. They then bring it back to their halls and it spreads around the smaller halls. How much fun I had necking back cough medicine a couple of months back. No matter how much the kitchen is cleaned, it will still be dirty. Even once you remove all the beer bottles, dirty plates and rogue slices of ham, you will still be left with a kitchen you don't really want to cook in. There are certain things I don't bother buying anymore as they go off too quickly. Bread and milk are the main ones. I like buying fresh bread but it usually has to be eaten within that day and I can't eat a whole loaf by myself in a day. And fruit goes mouldy very quickly. 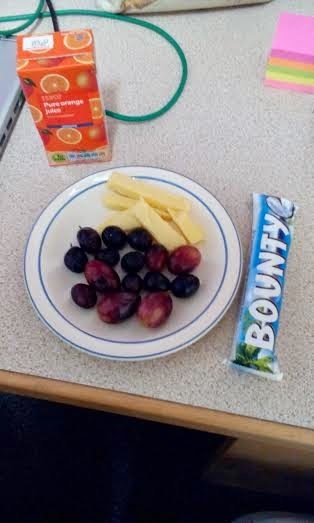 I once bought a punnet of plums and they went off before they even ripened. I cannot convey the depth of my disappointment. Before uni I never would have considered paying £30 on a single book. Well, perhaps if it were an amazing antique one but, otherwise, no freaking way. Now I am buying a massive Shakespeare anthology to discover that I only have to read 4 plays from it. They could have said and saved me money which I could have spent on chocolate orange. I haven't worn makeup to lectures in months. But I just haven't cared that much about how I look lately. I must look like a troll but who really cares? Does it matter that I look like a troll? If I don't care then it isn't important what other people think. Although there are days when it's early and I've had 10 minutes to shove some clothes on and run to class and I arrive looking like Grendal's Mother and everyone else, somehow, looks really put together. Whether it is alcohol related or you have an essay due, you will pull an all-nighter at some point. Truth be known, I'm having a food baby and I'm not sure if the father is Ben or Jerry. This post made me laugh - I definitely lost weight at university due to not making time to cook/not really knowing how to cook/being too poor to cook/choosing to drink rather than cook! I also studied English at university so I feel the pain of the expensive course books. I wanted to cry when I graduated and had so many of these enormous, very expensive anthologies I knew I'd never read again. p.s. happy to hear you're feeling happy - first year of university can be tough, so glad you've survived mostly unscathed! First year of uni is definitely a learning curve! I used to have 9am lectures pretty much every single day and keep going until 5pm... I have no idea how I ever managed to survive the boredom! 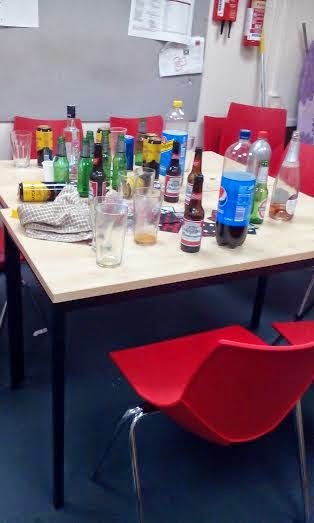 As for food and cooking- it gets much easier in second year when it's easier to look after your kitchen. I never used to enjoy cooking, but having a clean space to do it in sparked a new interest for me. Bahahaha - congratulations on your food baby! 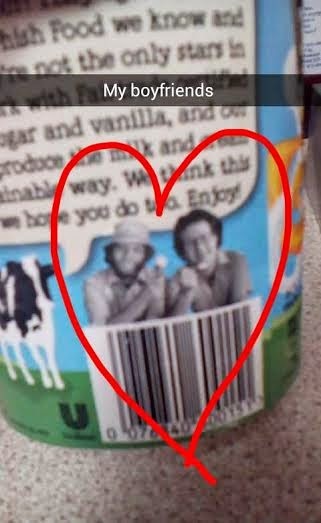 Although I'm devastated to know Ben/Jerry has been cheating on me- I THOUGHT WE WERE EXCLUSIVE. I properly laughed out loud at "They could have said and saved me money which I could have spent on chocolate orange." - Sue the university, immediately. This is hilarious! I remember a lot of these! One thing I remember was discovering the reduced food at the rotisserie counter at my local Tescos and I'd be famished. I remember coming home at midnight. My Mum heard me get back and came down to say hi to see me cutting into an entire roast chicken with a knife and fork, devouring it! She's always laughed at that!